Politico announced a wave of hirings and promotions on Friday morning, per a a staff memo from Susan Glasser. The list of moves includes Luiza Ch. Savage, currently the Washington bureau chief for Maclean’s magazine, joining as editorial director for events; Benton Ives, editor of CQ Weekly Report, who will join Politico as a Congress editor; Jen Liberto, joining Politico Pro as first senior financial services reporter; Elena Schneider joining Campaign Pro as a reporter “covering 2016’s most competitive House races”; Terry Mulcahy, a new web producer; and two other additions to their web-team, Kat Borgerding and Nolan McCaskill. Good morning all, we have some important new additions to announce. First, Luiza Ch. Savage will join us as editorial director for events. Luiza is currently the Washington bureau chief for Maclean’s magazine, Canada’s most influential news magazine. A native of Poland and graduate of Harvard and Yale, Luiza is an accomplished journalist who worked at several newspapers before Maclean’s; she also produced a documentary last year about the Keystone XL pipeline. She’ll join us in the next few weeks and work alongside our incredible events team to continue to build out our live journalism. Another key addition and some retooling comes on our Congress team, where Mike Zapler, our new senior Congress editor, will be joined by Benton Ives, editor of CQ Weekly Report, as Congress editor, and together the two of them will also take responsibility for editing our flagship Capitol Hill newspaper. Bill Kuchman and his great team will continue to lead the production of the paper, and we anticipate adding an assistant editor to help Mike and Benton as well. Benton has risen up through the ranks at CQ — with a stint in between at Dow Jones covering the Treasury Department and Finance — before becoming editor of their magazine. A UVA grad, he lives here in Falls Church. On Pro, we’ll be joined by Jen Liberto as our first senior financial services reporter. She has extensive experience covering the intersection of Wall Street and Washington after reporting on the financial crisis, Dodd-Frank and other policy battles over the last five and a half years at CNN Money. Before that, she worked at the Tampa Bay Times for nearly seven years, covering a variety of beats from the paper’s statehouse bureau. And on Campaign Pro, we’ll welcome Elena Schneider as a reporter covering 2016’s most competitive House races. Elena comes to us from the New York Times Washington bureau, where she’s worked as a news assistant since December 2013. She’s a Northwestern graduate and Winston-Salem native. We’ve also been joined by new web producer Terry Mulcahy, a new Georgetown grad with recent experience at PBS, NBC4, the Washington Blade and Slate. Terry grew up in England. 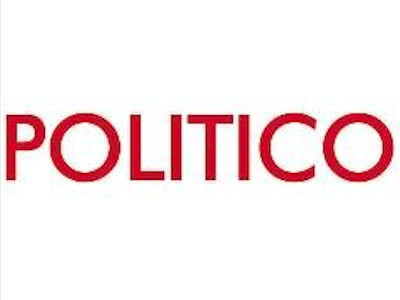 Two other fantastic new additions to the WebTeam: Kat Borgerding has joined as a web producer from ProWeb, and Nolan McCaskill, this year’s POLITICO fellow, is doing a stint as a web producer and writing the Pro Report each day. Please join us in welcoming all these wonderful new colleagues.